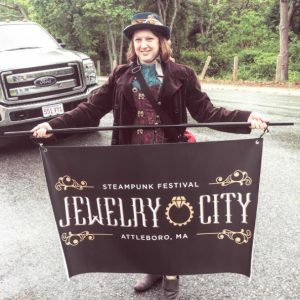 The Jewelry City Steampunk will be at the Market this Saturday along with of the Attleboro Cultural Council. They will be promoting the The Jewelry City Steampunk Festival which is a free and open-to-the-public event on October 28 with five wonderful locations around the downtown. What can you expect at the Jewelry City Steampunk Festival? Fascinating talks in the Attleboro Public Library, Splendid Teapot Racing, fencing classes and expositions in the Balfour Riverwalk Park, more programs at the Attleboro Area Industrial Museum, a steampunk art show and sale at Patterson Creations, vintage photography and vendors in the Ezekial Bates Masonic Lodge. Pictured to the right is the festival director Heather Rockwood at the recent Memorial Day parade. 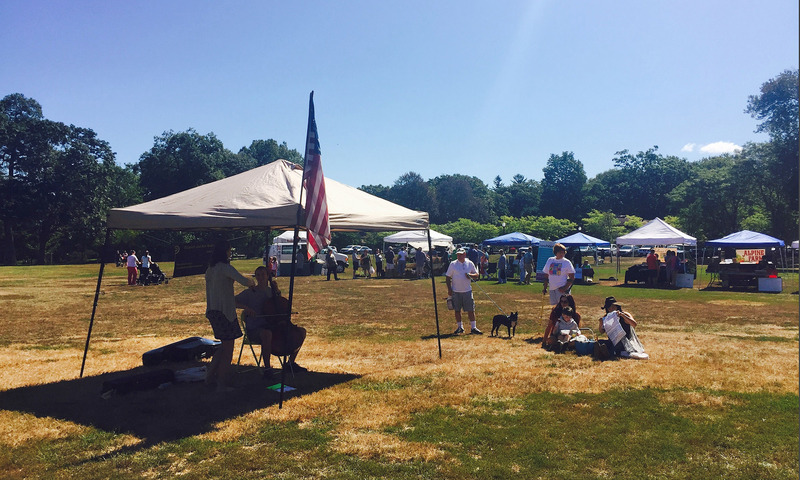 Alpine Farm, Bettencourt Farm, Breezy Knoll, Joe Carvalho Farm, Freedom Farm Food, Foxboro Cheese, Langwater Farm, Mello’s Farm, Shamrock Hives Farm, and Wetu Farm. Great Harvest Bread, Amado Ceramics, Netties Kettle Corn, Del’s Lemonade, Borealis Coffee, The Burgundian Waffles, Nason Family Honey, Smackdoodles, Confectionary Designs, Red Harvest, SanoBe SuperFood, The Olive Tap, Pickled Willys, Bonez Bros BBQ, Jaju Pierogi, Fraulein’s Bakery, The Paper Hummingbird, Tabers Closet, John Atkinson Silver, and David Laferriere Sandwich Bag Art & More. If you have any questions or are interested in further information, please contact AFM Market Manager at attleborofarmersmarket@gmail.com or call 508-736-9061.